I have just returned home after 5 days holiday on the West Cost of New Zealand at my mother and father's new house. They have built separate accommodation for us at the back of the house and it feels like a retro artists retreat. We ate loads of delicious food, drank local wines, cooked, fished and cooked some more, swam and walked in the coastal rain forest. I also had a little time to read. Here are a few that I enjoy or want to enjoy! Joanne Harris is such an amazing author- she creates a modern fairytale of feminism and domestic bliss. I have read all of her books - The Lollipop Shoes is a great sequel to the popular Chocolat. 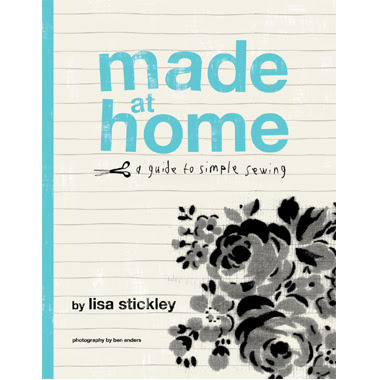 For Christmas my lovely man gave me at book called Made at Home by Lisa Stickley because I really want to learn to sew this year.